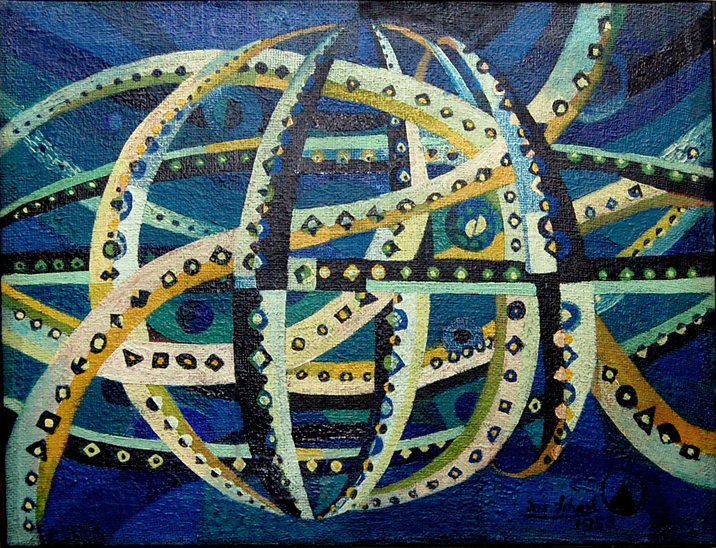 „Kosmische Bahnen (Star system)“, 1953, oil colour on canvas, 49,5cm x 56,5cm. 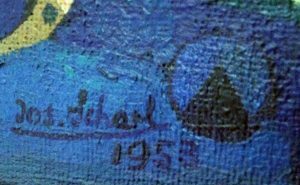 The „Star system“ was painted in 1953, while Josef Scharl resided in the USA. It was Albert Einstein who had helped him to emigrate from Germany in 1942. I, Albert Einstein being duly sworn, deposes and say: I reside at 112 Mercer Str. Princeton, New Jersey, County of Mercer. I am e member of the faculty of the Institute for advanced Study, Princeton, New Jersey. I am a United States Citizen. I personally know Mr Josef Scharl, residing at present 160 Claremont Ave. Apt. 6D, New York City, N.Y, who is a visitor in the United States and who desires to immigrate to the United States. According to my own knowledge and according to informations given to me, I believe that Mr Josef Scharl of whose character I think very highly, never was active politically in any way and I do not believe that his activities, if admitted to the United States, would be inimical to the United States, its people, government or institutions. This affidavit is made by me for the purpose of inducing for the American Consul to issue the proper visa to the above mentioned Josef Scharl and the Immigration Authorities to admit him to the United States. 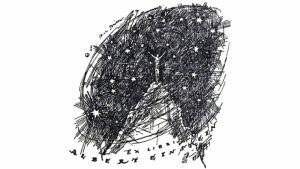 Besides the signature of the artist, the painting „Star sytem“ bears the Exlibris sign of Abert Einstein. It is not known, if Einstein participated to a certain degree in the development of the series of „Star systems“. Also, a star map appears, when held against the light. Exlibris bookplate of Albert Einstein, made by Erich Büttner, Berlin, in 1917. 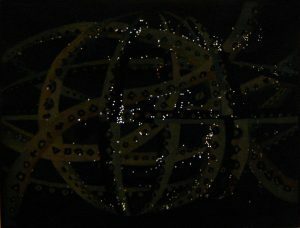 A star map appears in the painting Star system.